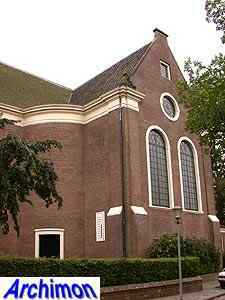 In the Middle Ages a big Gothic church dedicated to St. Joseph stood on this location. 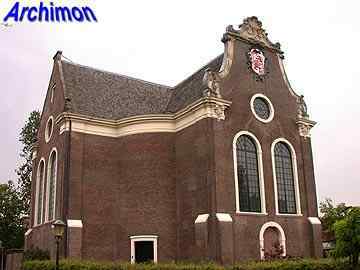 In 1573, in the 80-Years War, this church was destroyed and rudimentarily repaired later for protestant use. 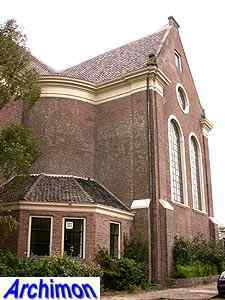 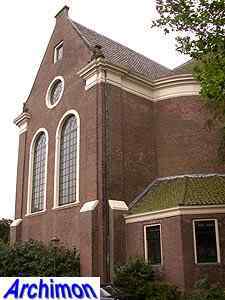 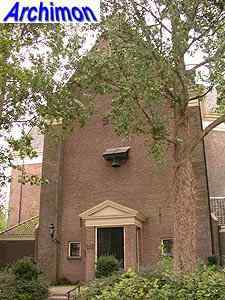 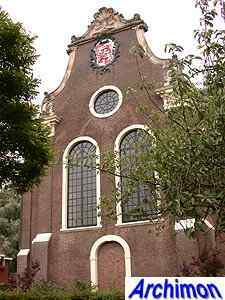 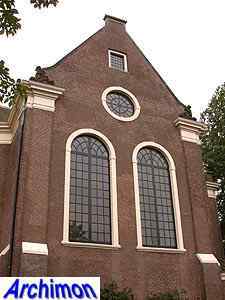 In 1740-1741 the old church was replaced by the current building, which was designed by Jan van der Streng. 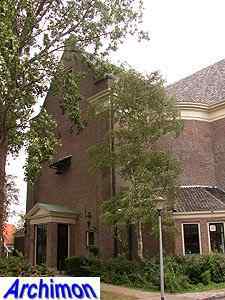 Only the tower of the old church remained. 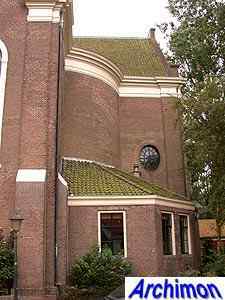 The church has a ground-plan that is shaped like a Greek cross, with spaces in the corners shaped like a quarter of a circle. 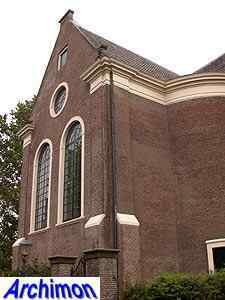 The church is built in Louis XV-style, which is rather rare in The Netherlands. 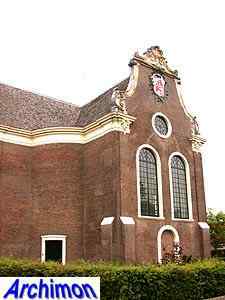 The eastern facade has a nicely decorated gable with the coat of arms of Westzaan. 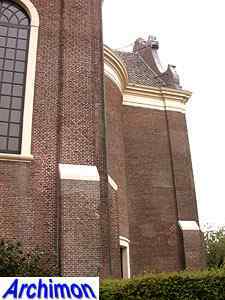 The other gables are much more simple. 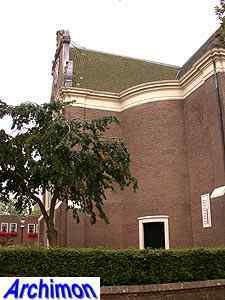 After the decayed tower collapsed in 1843 a new western facade was built, which itself was replaced by a new one during a restoration in 1967-1970.